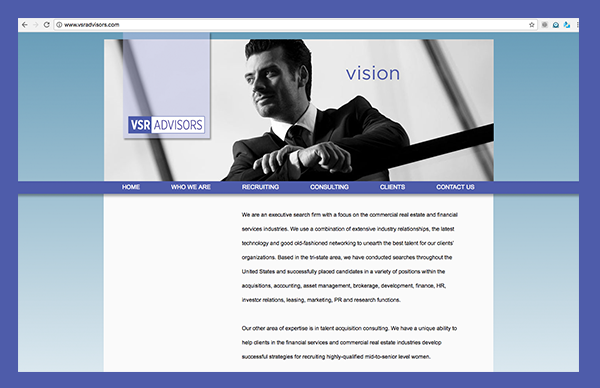 VSR Advisors is an executive search firm with a focus on commercial real estate and financial service industries. 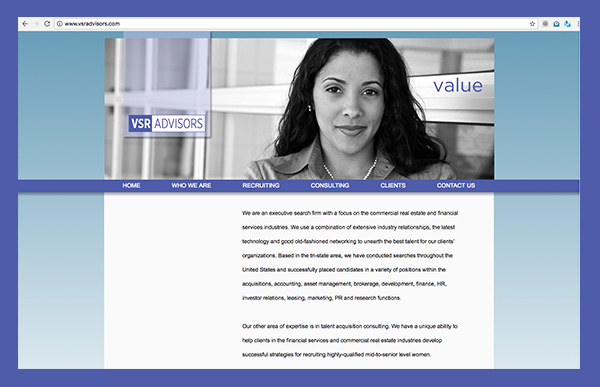 They wanted to portray a flexible and innovative consulting company with the quality, vision, and value tag line. First I created a no-nonsense logo, clean and modern. 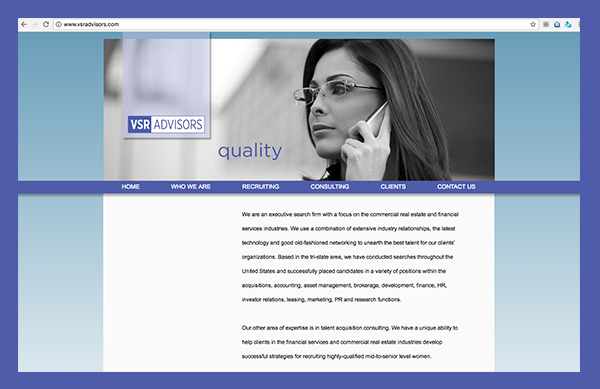 On the website we used black and white photos of professionals who could be clients or consultants. We combined the photos with the tag line message and an innovative color scheme (the purple and blue combination) for real estate and financial services. It gave the company an edgy look for the industry they were serving.